First, the Back to the Future Nike Mags came out. 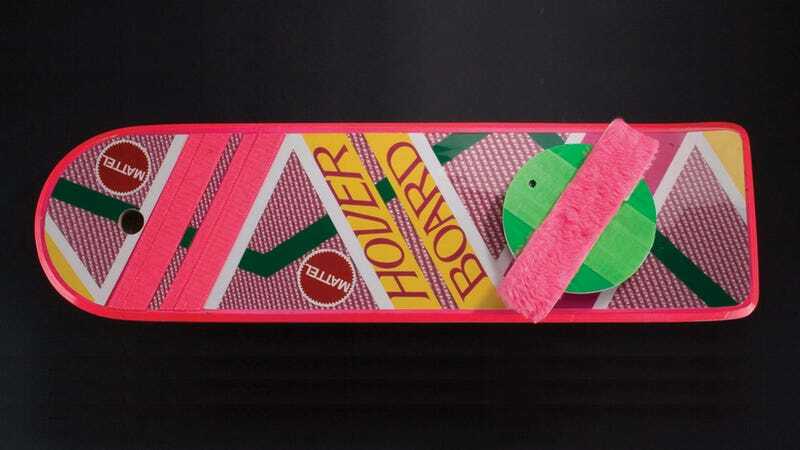 Now, Mattel has announced that it'll be making the pink hoverboard Marty McFly made infamous in Back to the Future II. My life is complete. Well, almost. The Mattel hoverboard doesn't actually hover as it's only a 1:1 replica of the movie version but that's okay! It's still a must have piece for any BTTF fan. The ad for the BTTF hoverboard at Toy Fair claims its "movie accurate" (there's a hole where Marty ripped off the pole) and can "glide over most surfaces" (though it doesn't work on water, heh). I've previously held out on buying unofficial hoverboard replicas because I was waiting for Mattel to come out with an official version. Now that it's finally here, I'm beyond excited. Because this is such a high-cost item, there will be a minimum number of orders required to go into production. If we don't receive the minimum orders, won't go into production and customers will not be charged. The price will be announced later this month.